I have to start by telling you that beauty is not what you think it is. Somehow we have been consumed by our senses rather than our heart, and beauty appears to be about how someone looks. It really isn’t. Let me tell you what beauty is. Beauty is something that starts deep in a person and radiates out of them. You can often see it in their eyes or hear it in the voice or feel it in their hands. It is part of who a person is, not what a person is. God created each person to be beautiful. We are all like different pieces of art in the same gallery. There is beauty and merit to each masterpiece although they may look nothing alike. When you see a painting do you admire the frame or the canvas? When you see a sculpture are you left speechless by the stand or the piece? It is like that with beauty in people. What we see is only the frame, the stand, the tool to showcase the treasure. Somehow in this world, we have focused our eyes on the frames and lost sight of the canvas. The face and the body and the hair are all part of the masterpiece, but if that’s all you see, you will miss so much beauty in the world, in people. So try the best you can to look past the frame, look beyond the stand, and look into the heart where the beauty of love and kindness and compassion and all that is good shines from. This will be difficult. Especially with yourselves. But let me tell you a secret about how God has made you. He used His immense creativity to fashion a beautiful spirit full of love and grace in each of you. Then He took that masterpiece and framed it to perfectly match the art inside of you. The frame is there to enhance your beauty. Some days you’ll feel like you’re framed in swirly gold and some days you’ll feel like you’re framed in cheap plastic with corners that don’t quite meet. But you need to know that the frame cannot change the masterpiece unless we let it. So take a moment and remember you are a work of art, full of beauty and displayed splendor. 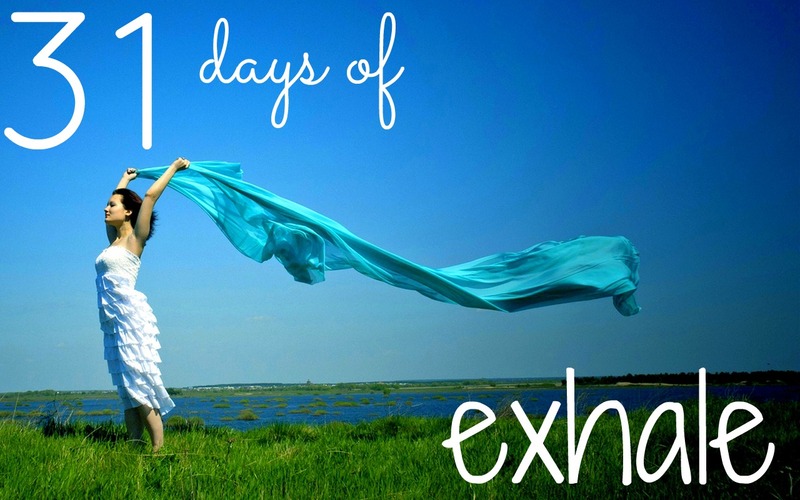 Allow yourself to bask in that truth and exhale. I love you in all your beauty! To see the rest of the series, click the link below.